Flame red magma Swarovski crystal cosmic beads measure 20mm long. Simple, yet eye catching with fiery shades of red and deep orange. 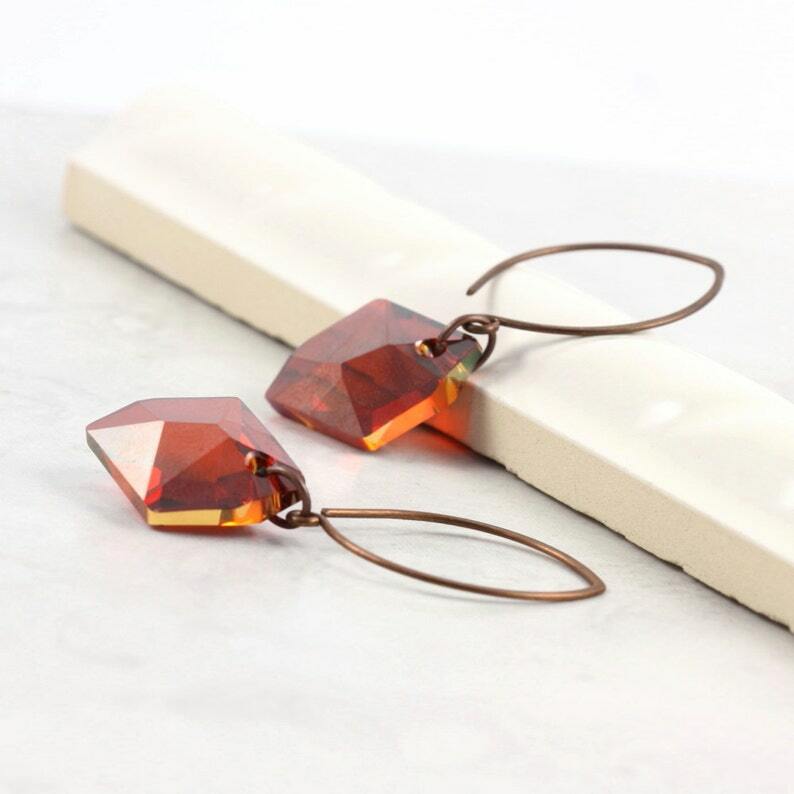 Made with antique copper almond shaped ear wires handmade by another Etsy seller. Length of earrings is 1 7/8 inches, approximately 48mm, from top of ear wire to bottom.